KELOMAT’s elegant Perfekt fish pan makes the hearts of fish lovers beat faster. The stainless steel look with glass lid, combined with a robust PTFE-non-stick coating – enforced with ceramic particles – makes cooking delicious fish dishes child’s play, since the fish does not stick to the pan and can be turned easily. The stainless steel pan has a good heat reduction, which shortens the browning time and enables optimum use of the energy. It is the perfect pan for fish lovers who also love to cook fish themselves. 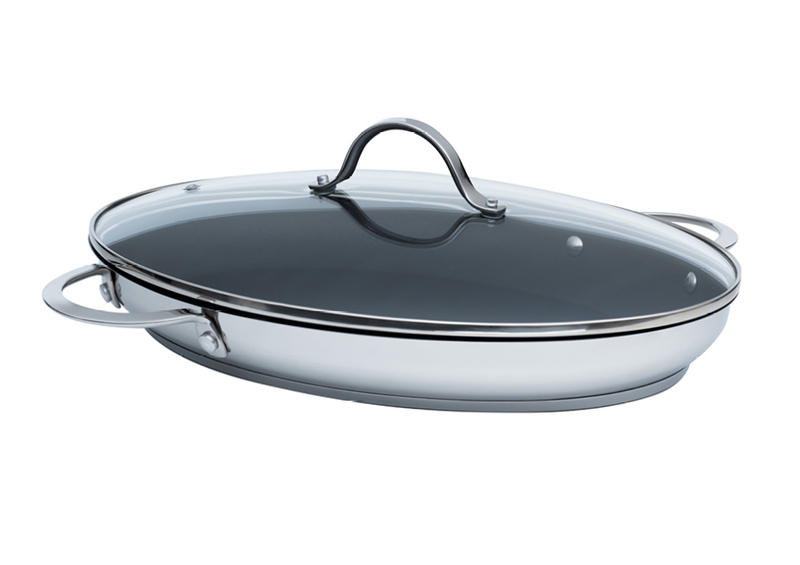 In addition, the non-stick Perfekt fish pan has a drip-free pouring rim, as well as two stainless steel handles, which makes the Perfekt fish pan oven-safe. 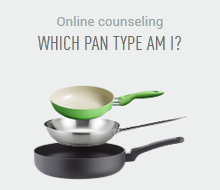 The pan is 38×26 cm. 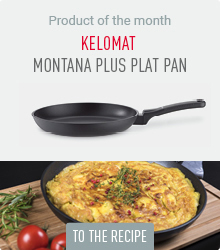 KELOMAT’s pan series Perfekt also has a standard pan in three sizes, as well as a wok pan.